With less than 2 weeks to go until the Weston A. Price Foundation‘s Wise Traditions Conference in Atlanta, Aaron Zober invites Pure Indian Foods founder Sandeep Agarwal to talk about his Butterworld exhibit that will premier at the Conference. Butterworld gives a history of butter, containing artifacts from the 17th-20th century, including various churns and a cream separating bottle. For the Wise Traditions Conference, there will also be an exhibit on cod liver oil. 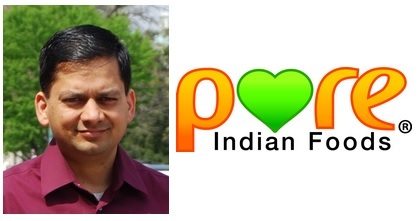 Sandeep then discusses his business Pure Indian Foods. Sandeep is the 5th generation in his family to have a ghee business. Sandeep explains the difference between butter and ghee and the advantages for using each, as well as the advantages for the other oils that he sells, such as almond oil, coconut oil, mustard seed oil, and sesame oil.